Membrane Capacity: 400 GPD, Specifications: 5 stages purification system, standing/wall-mount type. 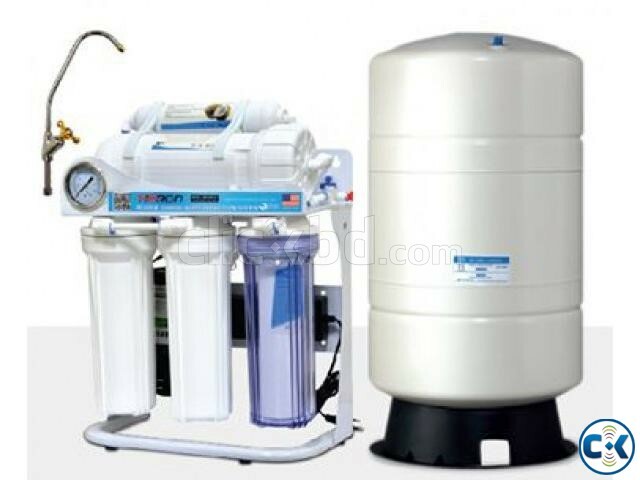 11 gallons pressurize water reservoir, installation kit are included, completely assembled, factory tested & ready for installation. Applications: School/college, office, restaurant, garments factory, nursing home, clinic, cafeteria etc. Guarantee: 1 year limited, applicable from the date of purchase.